With almost 20 years of combined afterschool programming experience, our Dream Team brings their dedicated passion of inspiring creativity in children to communities all over Northern California. Our dedicated team is honored to serve your school, your students and their families. We strive to offer friendly, reliable, prompt service. If you have questions, we have answers! Please feel free to give us a call or send us an email with any question you have, big or small! 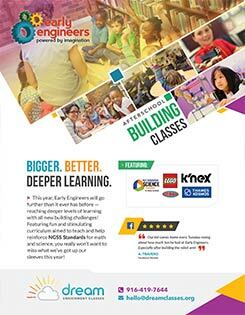 Join us for a whole new school year of BRAND NEW projects! Let's get messy and make time for creativity! 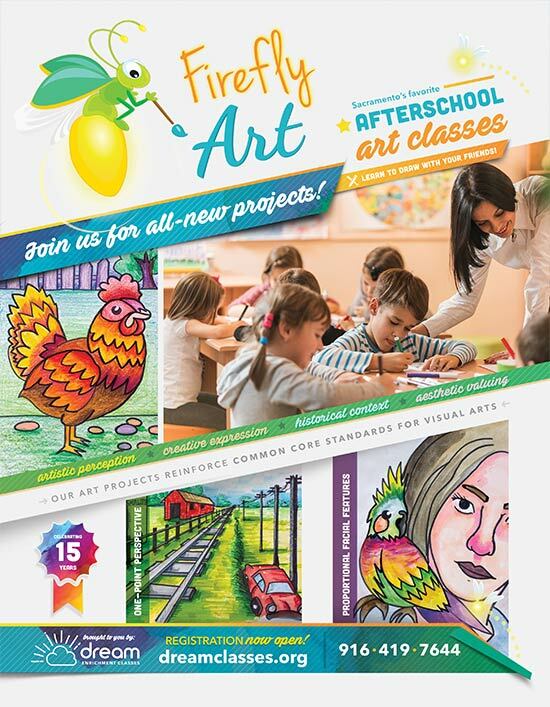 While Firefly Art has always taught drawing skills, with a variety of art media, we do more than that! We teach our students to draw as a secondary means of communication, relish in the creative process, and design creative solutions when "mistakes" happen. 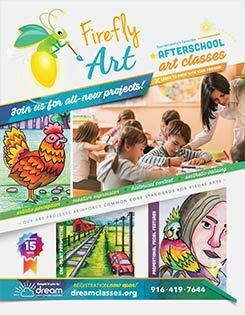 This year, we've got more paintbrush action, more sticky glue crafts, and more local artist spotlights coming your way! Payment plans available online for no additional cost! Calling all LEGO lovers! Too many children shy away from math and science. We want our kids, and yours, to be exposed to topics like velocity, momentum, and bioluminescence, alongside a familiar friend, the Lego brick! That way, when they go off to Junior High and High School, they will be more comfortable and willing to raise their hand when these topics come up. Familiarity now, will lead to the confidence to engage later. Join us for new projects and vocabulary! HoneyCode familiarizes students with the basics of coding, while encouraging creativity and storytelling. This year we're excited to introduce Alice: an innovative block-based programming environment that makes it easy to create animations and program interactive narratives in 3D. 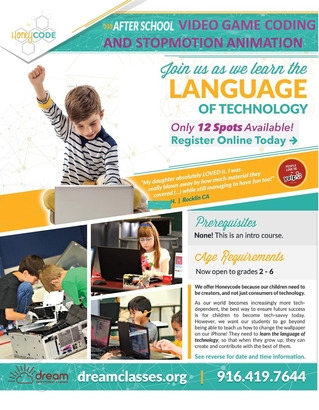 It's designed to teach logical and computational thinking skills, fundamental principles of programming, and object-oriented programming. At Chess Academy, we don’t just play chess, we teach chess! Our comprehensive program offers multiple levels and all of our classes are led by an instructor with new lessons each week. A typical class consists of an extensive lecture following game-play, where students practice what they've learned that day. Chess is a wonderful educational opportunity to help build a child’s ability to focus and understand the art of strategy at an early age. 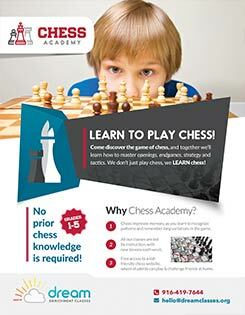 Chess Academy is open to all levels, beginner to advanced. Firmly committed to STEAM-enriched education - long before it was cool!